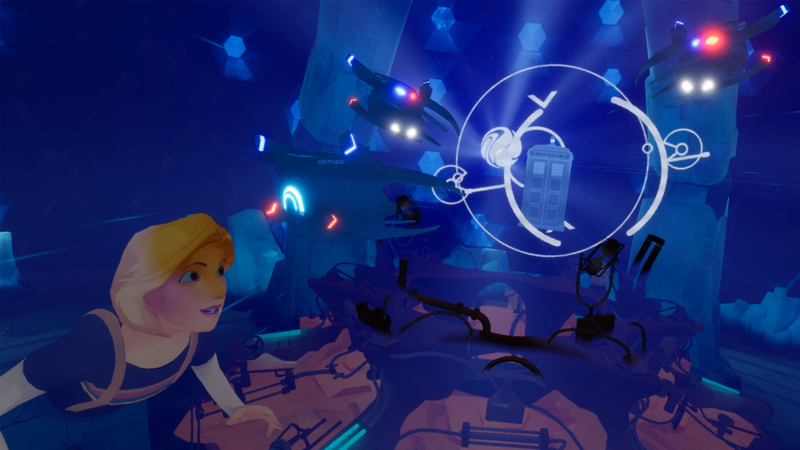 The BBC has released the first trailer for its new Doctor Who VR experience, which casts you as the Doctor’s companion and takes you on a journey through time and space in the TARDIS. The Runaway will premiere at the Tribeca Film Festival‘s Virtual Arcade on 26 April, alongside 21 other virtual and augmented reality experiences. The experience will involve you waking inside the TARDIS after colliding with “a strange and magnificent ball of living energy called Volta”. Unfortunately for you (and the rest of life on Earth), Volta has the temperament of a moody teenager and must be returned to his home planet before he explodes – but that’s not going to be easy. “Drawn into a frantic chase, you become The Doctor’s unlikely assistant as she races against time to get Volta home to his parents,” says the BBC.